Source: AdEdge Water Technologies, LLC. There are a number of regulations in drinking water centered around emerging contaminants. Hexavalent chromium is one that you’ll see on the national marketplace. AdEdge, as a company, primarily removes contaminants from drinking water, and their claim to fame is having more installations for arsenic removal in drinking water than any other company in the world. 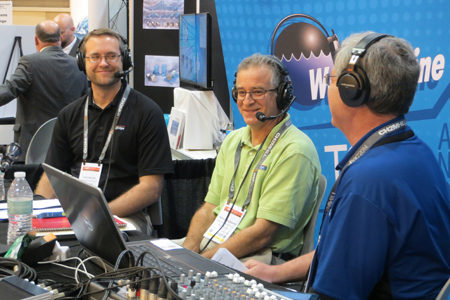 Chad Miller, Product Manager with AdEdge, and Rich Cavagnaro, AdEdge co-owner and President, joined Water Online Radio for an interview to discuss these regulations and what they are doing about it. AdEdge is handling these regulations by launching a new product, called Biota, which is a fixed-bed biological treatment process with dual stages, allowing the company to address nitrates, chlorates, a number of VFC’s, chrome six, and other contaminants all in one treatment process. “Not only does the Biota have many of the benefits of removing the contaminants, but they are also not creating any of the environmental discharges that you see with some other technologies,” Cavagnaro said. Right now, the company has a project working with the state of California and will be a full scale demonstration project that will be a showcase piece for them to bring customers to see the technology working. Click the radio player below to learn more about Biota, as well as other technologies that AdEdge has to offer. MORE FROM AdEdge Water Technologies, LLC.